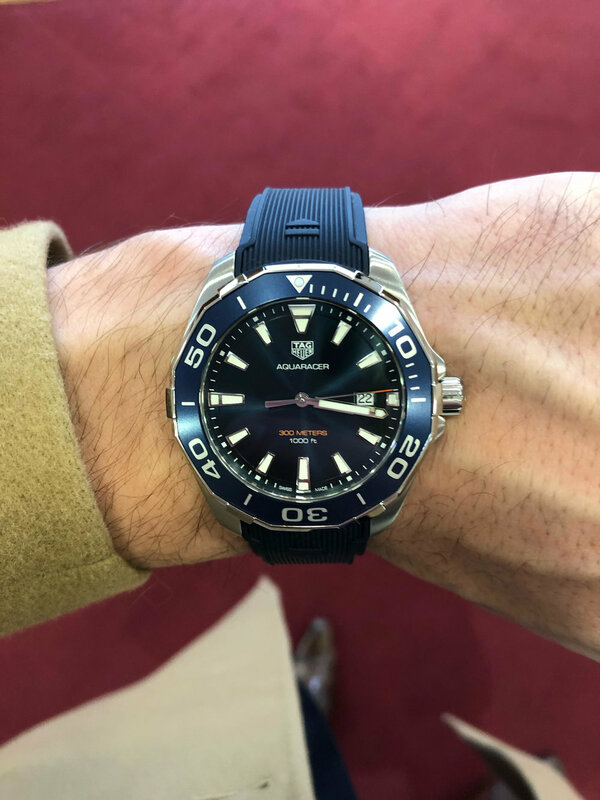 My watch of the week is the Tag Heuer AquaRacer 300M from Keanes Jewellers. Designed to withstand the rigours of watersports, this stylish men's watch features a Swiss quartz movement and water-resistance to 300 meters. The blue dial includes a magnified date window and is surrounded by a blue aluminium unidirectional turning bezel in a 43mm stainless steel case. A flat sapphire crystal with anti-reflective treatment tops the dial. The blue rubber strap secures with a push-button fold-over clasp with diving extension. I'm a huge fan of big rubber strapped watches so this caught my eye immediately when I entered the store. You'll find it at Keanes for €1450.